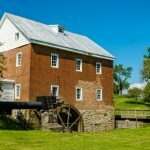 The Lantz Mill is located about two miles west of Edinburg in Shenandoah County, Virginia. 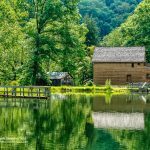 It was built on the north bank of Stony Creek, a tributary of the North Fork of the Shenandoah River. It is a two-and-a half story frame building resting on an eight-foot high limestone foundation. The current structure is a mix of hand hewn and sawn timbers dating from circa 1867. The foundation, though belonged to an earlier mill which was destroyed by Union Troops in 1864. 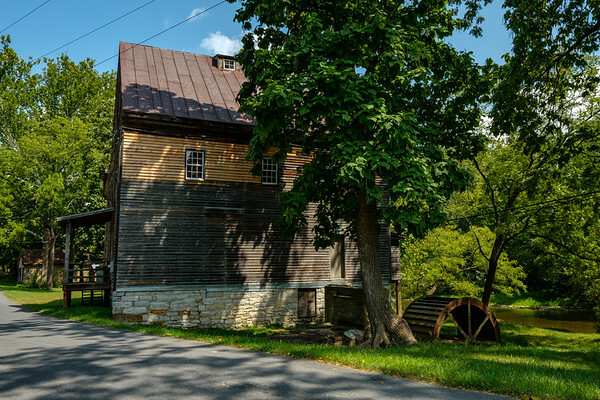 The Lantz Mill sits on a lot of slightly more than one acre in the center of a village known by the same name. The property, though, started out much larger. The first recorded deed of the property in the Shenandoah County Courthouse is dated October 8,1766. It registers the grant of 372 acres to Peter Hollow (later spelled Holler). Lord Fairfax forfeited Holler’s grant. 340 acres of the land were given to Christopher Cofman on November 21, 1770. Holler purchased 200 acres back from Cofman in 1790. The first reference to the mill itself is in Peter Holler’s last will and testament in 1813. The two sons, John Holler and Henry Holler split the property. John inherited 100 acres, the gristmill and residence whilst Henry inherited the sawmill and the other 100 acres. There is no evidence of the actual date of construction of the original mill. However, the Shenandoah County Minute Book covering the period 1810-1816 records a decision by the Justices to task Peter Holler with opening a road “leading from Columbia Furnace on Stony Creek, passing Union Forge” then joining the road from Woodstock to Staunton (present day Route 11). It is presumed Holler had an interest in the construction of this road, either because the mill already existed or soon would exist. 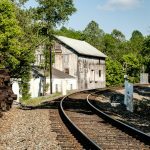 The road would then allow the export of the flour from the mill via the South Fork of the Shenandoah River and the Potomac to the important flour market in Alexandria. 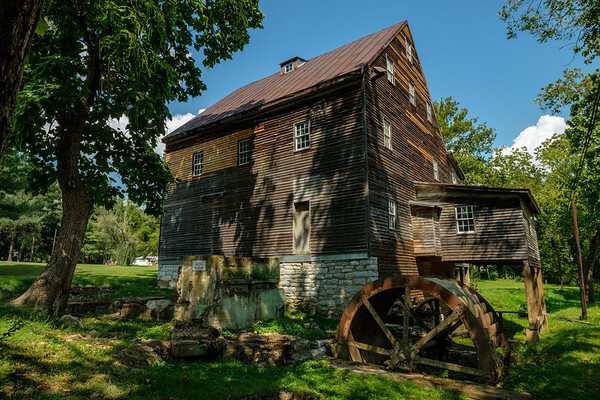 On September 7, 1815, the Holler brothers sold the mill property to Samuel Morrison Burnside Stuart. He in turn sold the mill to George Adam Lantz on January 1, 1824. The mill would remain in the Lantz family for the next 72 years. 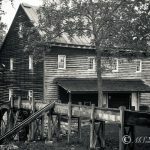 In 1863, Jacob Lantz purchased the mill from his father George. It is clear that Jacob had been running the mill for several years prior to this, especially considering George was 75 years old at the time of the sale. It was Jacob Lantz, not his father, who was listed in the Thompson’s Mercantile and Professional Directory for Virginia in 1851 as doing business at Lantz Mills. At the beginning of the Civil War, Jacob Lantz had become one of the chief businessmen of the area. He was also a staunch supporter of the Confederate States of America. He was the presiding Justice of the Peace for Shenandoah County as well. All of the fractional currency issued by the Shenandoah County during the Civil War bore his signature. Whenever Union troops came through the area, Jacob had to go into hiding. On October 7, 1864, during the Valley Campaign in what has become known as “The Burning”, Union Major General Wesley Merritt, in command of the First Cavalry Division, laid waste to farms and industry along the Middle Road and the Valley Pike in Shenandoah County. Jacob Lantz was a particular target. Union troops sought him out for failing to arrest his neighbors who had taken up arms against the North. As a result, all of his buildings including the mill were destroyed. 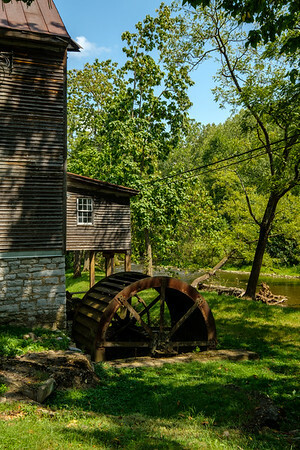 The mill was rebuilt in 1867 on the original 24-inch thick limestone foundation. It was one of the first mills in the area to be reconstructed after the war. By 1885 there were at least 14 mills operating along Stony Creek. The mill at Edinburg, which was not destroyed during the war, and Lantz Mill are the only two mills left on Stony Creek. 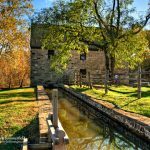 Lantz Mill is unusual in that it retains all the water rights associated with the use of the Mill Dam and Mill Race. These are preserved through a series of easements recorded in the deeds of the neighboring properties through which the Mill Race traverses. In theory, this would allow the water race and water wheel to be put back into service following restoration. 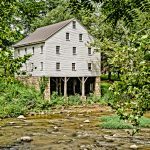 Built in 1867, Lantz Mill is located about two miles west of Edinburg in Shenandoah County, Virginia.